A naked body on a swing in the yard. Another corpse in the kitchen, a hole in its head. Jussi Vares is hired to solve the case which hasn’t been cracked despite an entire winter of investigation. A rusty canopy swing creaks in the yard of a post-war bungalow, carrying a naked, mangled body. All winter long, the papers churn out a flood of gratuitous headlines. 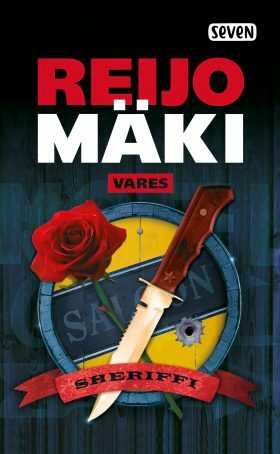 The following spring, Jussi Vares is hired to investigate the still-unsolved crime. Once again, the job takes our private investigator to the giant tables and dim rooms of the Turku underworld’s merciless, capricious aristocracy. A bizarre masquerade of feints and twists ensues, the rules of which Vares cannot seem to unravel. And then, Jussi crosses paths with a woman named Harriet, who makes a permanent impression on him.